I could feel my hands getting into the "danger zone" on Monday night, but I pushed it just a little further because I was having another AMAZING ride. Second ride in a row he came on my aids in record time, second ride in a row with Back on Track, if you're keeping score. Longtime readers will remember that I have Reynauds. My fingers and toes turn white from a combination of cold or pressure or both. The really fun part about the way my body reacts to Reynauds is that if I let my fingers and toes get too cold, when they warm back up, I either pass out completely or almost pass out. When do they get dangerously cold? When I'm riding. When does the blood come back? When I get off. I haven't had much of an issue with this in the past few years because I've figured out the right combination of winter clothing and foot warmers. I also have learned to identify the "danger zone" and I find a way to warm up before it goes too far. A relatively minor incident that happened at the gym. But...he was going so well on Monday...I shouldn't have done it, but I was so happy with how he felt, I couldn't help myself. That night I was also trying a new glove combination that - spoiler alert - does not work when it's 19 out. More on that later. Let's just say I lived to regret cheating on my beloved SSG 10 Belows. Why did I ever try to leave you! Also, holy cow, these are TEN DOLLARS CHEAPER at Riding Warehouse than at SmartPak. I knew ahead of time what was waiting for me as soon as I got off. Of course it was night and I was alone, one more reason this whole preventable situation was stupid of me. I hustled poor Connor toward the crossties. I was getting tunnel vision by the time I finally got the snaps on his halter and ran into the tack room to lay down next to the heater. The thing is, almost passing out feels, in my opinion, worse than passing out. Almost passing out feels indescribably horrible, you just lay there wishing you'd pass out already to make that feeling go away. I can't even come up for words for it, but if you've felt it, you know what I'm talking about. 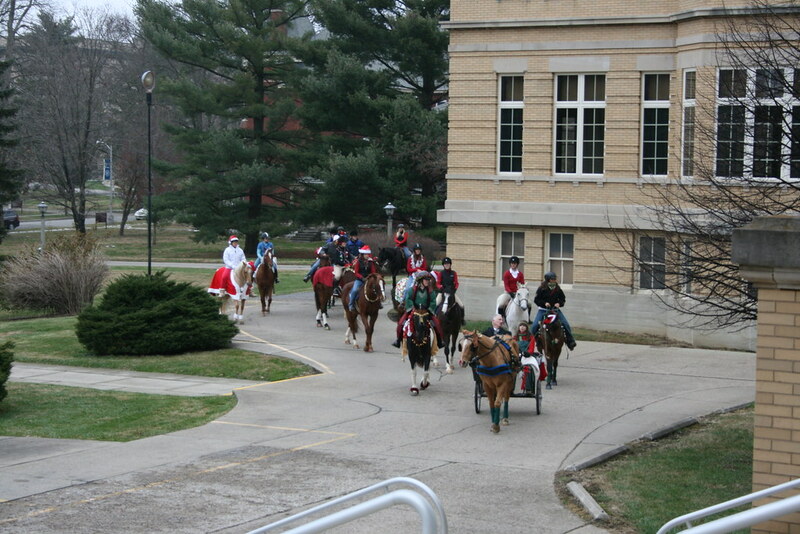 It was right after this ride, our senior holiday ride in college, that this happened the first time. I'm on the bay with the blaze up front next to Mary who's on the grey in the red sweater. I laid there silently thanking my poor, still-tacked-up pony, standing there in the cold with no sheet on, for being a good boy because I could not physically get upright and untack him for several minutes. Even when I finally struggled upright and untacked him (too quickly, but I was motivated by Connor), I had to curl up in a ball on a saddle pad next to him in the aisle halfway through for a break. Good pony. After I got him untacked, I laid next to the heater again until I felt good enough to shelve my stuff and drive home. Even after I got home, I kept all of my layers on, wrapped up in a blanket, drank a mug of hot tea and still didn't feel warm or normal again for another two hours while my body temp was about 1.5 degrees lower than normal. Then by the time I went to bed, I was back to normal. Why do I share this? Well, it's winter and I'm short on content, and although it was stupid and self-inflicted, it's definitely the most interesting thing that's happened to me at the barn in a while. And, I'd also love to hear from anyone else with Reynauds if this happens to them. From what I've gathered, it's not a normal side effect, but it seems to be related for me, so I can't be alone in that. 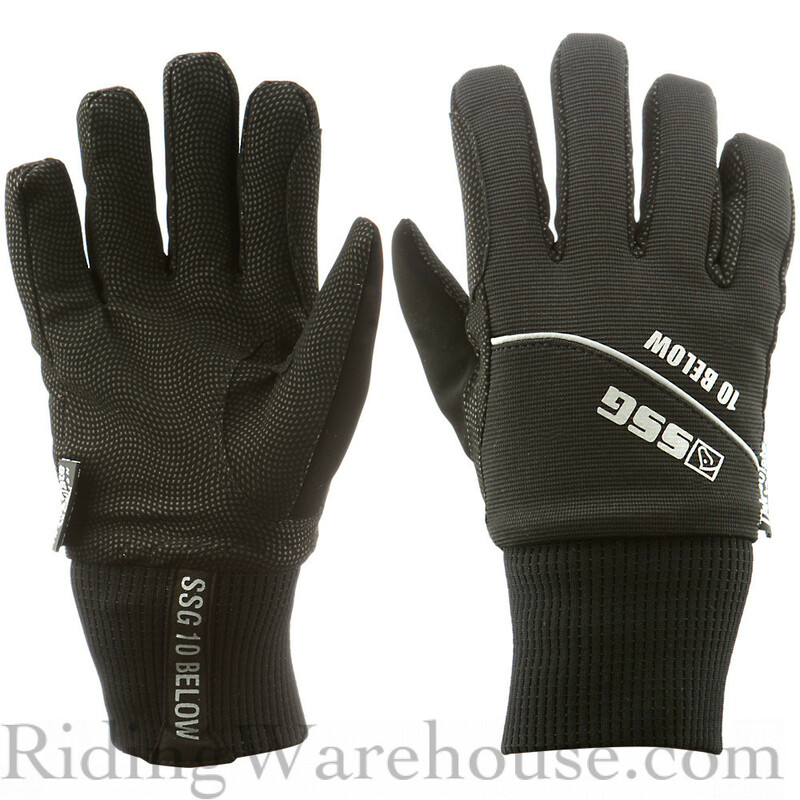 Bottom line: the new gloves are a bust, and this is why I, personally, don't ride when it's really cold out. Forget the horse, bad things happen to ME under 20 degrees! Curious to see what gloves were a fail! I have autoimmune issues and a lot of problems keeping my hands and feet functional in winter. Glad you made it home ok in the end. I'll do a full product review, but it was the newest Roeckl winter gloves with BoT glove liners underneath. Short answer: the Roeckls are made for California winters, not Indiana winters, even with the liners. Are you returning the Roeckls or would you potentially be interested in selling them, depending on size? I'm going to keep them, they're NOT a winter glove, but they'll be a great fall/spring glove. Good to know! I'm on the struggle bus of finding a good winter glove because I hate 99% of gloves except my regular Roeckls, which are fine for most days, but don't cut it for these temps we've been having! Oh my god, this is scary! I'm glad you were able to get him secured and get yourself taken care of. Being alone in the barn at night can be really peaceful sometimes and other times it can be kind of scary. Ugh. I've had issues with low blood pressure in the past and had moments where I thought I was going to faint while on my horse. I feel for you! It's not a fun time. I haven't ever felt like I was going to faint while on the horse, although I do share that scenario with trainers to drive home the seriousness of my hand warmer breaks. That would be scary! Do you just jump off fast? Not fast... I kinda rolled slowly off the side after standing still with my face on his mane for a few minutes. The sat on the ground with my head between my knees. In a firld because I was just about to go for a hack to cool him out. I went through a period where it was happening occasionally, but thankfully it hasn't happened in years. Now I get Vertigo and if I lunge a horse who is being a twit and galloping around I have to stop and stand still to let the nausea stop. Try drinking more water if you think your blood pressure is low. It thins your blood to allow it to flow easier (or something like that). Wow, that's really scary. I'm always really cautious about doing things like sticking my hands in my armpits to warm up while sitting on the horse, just in case I do get to the point of passing out when they warm up. I've definitely done the "slide off the horse and curl up in a ball next to them" move before. Never in a field though, that's scary! ugh that's no good at all. i definitely know that tunnel vision and about-to-pass-out feeling (my vision also kinda goes... neon? if that makes sense?). it's really unsettling. the only time it happened really badly with isabel, she just stood with me like a saint, not even trying to pull toward the nearby grass. sometimes these horses just know, i think. anyway tho, my issue was always related to blood pressure, like gray flannel horses above. for me, having something sugary on hand to eat (literally anything will do, with orange juice being around the top of the list, but peppermints or snack bars also working just fine) really helps speed up recovery and get me leveled out again. I think mine is probably blood pressure related too, and the point about sugar is spot on. Actually the first time this happened, after the holiday ride, Mary drove my stick shift a mile north to the convenience store to get me full sugar gatorade - and had never driven a stick before! Lol. Amazing what you're capable of when panicked. Also - YES on the neon! I almost wrote that into the post and changed my mind. It's like...looking through a stained glass window? That's kind of sparkly? Then when I do actually pass out I see a blur of images and colors go by really quickly and have dreams that I can remember, even though the longest I've ever been out for is 15 seconds. That's really scary! I hate being cold, but heat is what will actually do me in. Plain water doesn't keep me hydrated enough in the summer and I will also pass out. I finally figured out the right combo of electrolytes + water this summer. Ugggg I have Reynauds too, but thankfully have never gotten to the point of passing out. That's not good! :-( My hands and feet can get so cold I am in excruciating pain and in tears, but that's the worst of it. Be careful!! Yes! For me it really hurts when the blood comes back. I am normally much more careful than this. It was a good reminder to know my limits for sure. Oh man- that sounds seriously scary! It was, but it also wasn't because I knew what was going to happen and how to deal with it. The only scary moment was when I was seriously struggling to get the snaps on Connor's halter in the crossties. He was still tacked and I had no other options but I was not staying upright well then. That is a scary situation to be in and I'm glad that all ended up being ok in the end. Eek, good boy Connor. I've never been near passing out with Reynauds but that pain of return of circulation is no joke. I avoid living anywhere with snow temps because of it, I can't even stand cleaning out the freezer without gloves. When I was younger people were always a little worried over my bluish lips and white-blue fingers. Yes! Same for me on the freezer. Or Nick will ask me to slice partially frozen chicken while he's cooking dinner and I'm like "...do I have to?" Yessss! Don't think it hasn't crossed my mind, lol. That's terrifying! I don't have any known conditions like this but I never like being alone at the arena while riding- makes me uneasy, sh*t happens. I passed out once (thankfully unmounted) while walking my horse around to cool her out. It was from heat, though ;) Not a good feeling at all. It makes me uneasy too but having always boarded at smaller barns, it's just something I've learned to live with rather than never ride. I text my husband before and after I get on. That's scary, that's very similar! SQUEEEEEEEEEE can't wait to see you again! Oh God, I feel for you with the Reynauds and I'm so glad you were able to dismount and get to solid ground. I have it too. Lately it's been sort of spiking when I get brave because 30 degrees feels warm and I go without gloves for the first few minutes at the barn, then I get in trouble. People look over and I'm just cringing in pain about to throw up. I get it in warm weather too but it can be stress related! Lately, I've been warming up my 10 belows using my heated seats or vents and that seems to really help! This sounds AWFUL. I definitely appreciate my California winters more now! I've had a handful of almost-passing-out/tunnel vision moments when riding (usually it really hits when I get off too though) - and usually it is due to me pushing it a little too much. Although, I have this problem both when it gets too hot and when it gets too cold. I'm pretty sure it is something blood pressure related like most of the other comments say as well. I 100% agree that almost passing out is way worse than actually passing out. I know I have already shared that I have Reynauds also. I have never felt like I was going to pass out though...I have cried many times when getting my fingers and toes warmed back up! I do get the tunnel vision - seeing yellow spots - scenerio after riding on high heat days though. Be careful Jen! I had no idea passing out was part of that problem... no bueno! Yikes lady. That sounds super stressful. Huh, didn't know there was an official name for toes sporadically turning white. 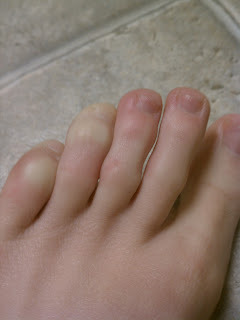 I sometimes lose feeling to toes and they turn white and ice cold, and eventually become extremely painful. I don't even have to be outside in the winter- it has happened in summer. Your side effects sound super scary though. Good thing you know yourself and have a plan! om my gosh that sounds so awful! I have overheated at the barn and had to lie down on the cold cement aisleway before, very near to passing out. Not the same thing but I do understand that feeling of total weakness. ugh! I didn't know it could make you pass out! That sounds awful. I think I know what you mean about almost passing out feeling terrible. I experienced that once while having many tubes of blood drawn and I had just eaten a high-calorie snack. Apparently, that messed up my blood sugar. The sensation made me cry; it was so uncomfortable. I know exactly what you mean with the almost passing out. Any time I hurt myself just a little this happens. I thought something was really weird with me but apparently there's even a term for it based on what one of the therapists I work with told me. It is SO inconvenient especially at the barn and especially since I don't freak out, it's just that my body does... Brains/bodies are stupid sometimes. Glad that you were ok and able to get to the tack room to lay down. I've had to do that before too and always hoped that someone wouldn't come in to see me laying there. I have Reynauds, and well know the pain that comes with it. This year Santa Claus gave me a pair of battery operated heated gloves - life changer! I got the glove lines from the company cozywinters.com and I wear them under regular riding gloves. SEriously, they have given me back my winter life - game changers!!!! !